Get ready for this BIG ULZZANG EVENT at Jurong Point! 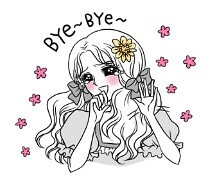 As I will be conducting ulzzang make-up tutorial “live”. Love my make-up? Fancy looking like a Korean Doll? 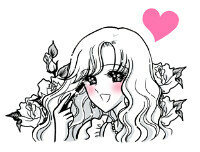 Come learn the secrets for my “Ulzzang Make-Up” that is taking Korea by storm! Be enlightened by make-up technique because with a few steps everyone can look pretty too! The registration form will be up on Jurong Point Facebook page on the 12 of May and registration is open till 29th May or when registration if full (first 20 pax). Don’t missed it! Keep a look out at Jurong Point FB Page! 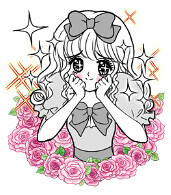 Will be super happy if you girls are willing to be my model for the ulzzang event!!! 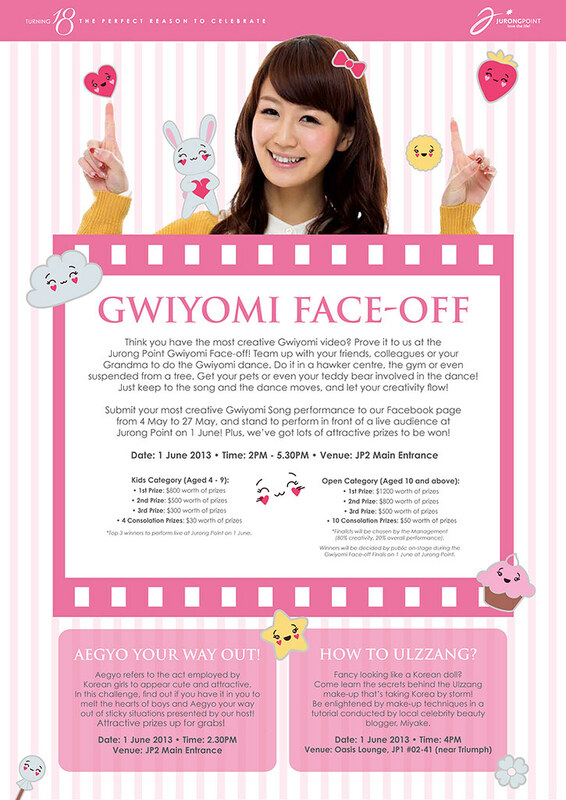 Jurong Point Nationwide Gwiyomi Face-Off’ contest! Think you have the most creative Gwiyomi? Then you gotta join Jurong Point Nationalwide Gwiyomi Face-Off contest! Team up your friends, colleagues or your grandma to do the Gwiyomi Dance. You can do it at anywhere, everywhere! Just keep to the song and dance moves and let your creativity flow! Open Category is for aged 10 and above and Kids category is for aged from 4-9 years old! Join now! What are you waiting for? 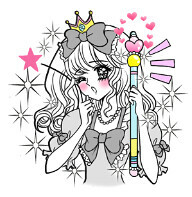 There’s fantastic prizes that worth $1,200 to be won for this gwiyomi contest! Aegyo Challenge! Are you ready to go all cute and playful for Jurong Point Ulzzang Event? What is the meaning of Aegyo? What do we have to do for this challenge? 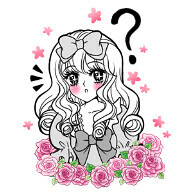 Aegyo refers to the act employed by Korean girls to appear cute and attractive. In this challenge, find out if you have it in you to melt the hearts of boys and Aegyo your way out of sticky situations presented by the host! Attractive prizes are waiting for you to grab it, so are you ready?!?! omg I wished I was there in your country really really wanted to join!